How To Use Pinterest To Make The Logo Design Perfect? Launching a new business is one hell of a task and to make it a worthwhile, a solid logo design is needed. Beginning with a logo design is not a easy task, you may have a vague idea. Having a vague design is ok. You can still have a great logo design without having professional expertise. 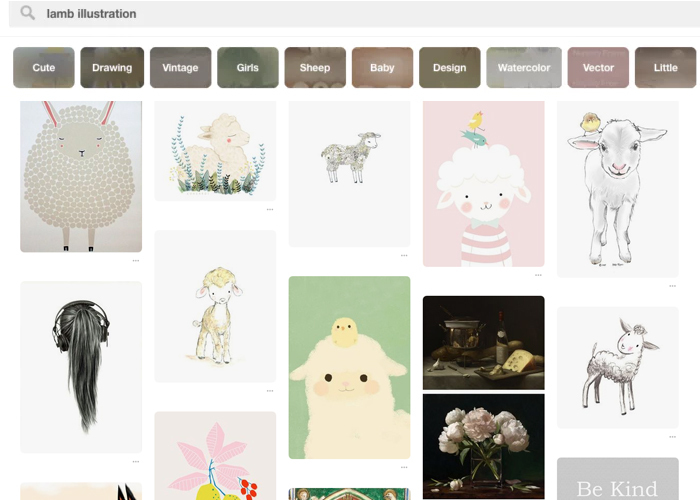 When it comes to getting inspiration, Pinterest is an ideal platform to rely on. The idea which is inspiring the social networks can help you in introducing yourself with a broad area of designing which can help you further in understanding what will work for you or what will not. Now you must be thinking how? Begin with pulling out your pinterest account on your computer. Create a new board for your design by clicking the red plus sign available in the upper right corner of the page. You can consider giving title to your board as “logo design” or logo inspiration. Make sure to create it as a secret board. Expert designers from best logo design company suggest that before beginning with the pinning process, the first step should definitely be figuring out the vibe of your brand and its description. You should prefer beginning with writing a good bunch of adjectives that defines your business appropriately. It can be directly depicted by adjectives or there can be various combination which can be used to express the idea of the business. Once the list is created, narrow down the list into three words which depicts your business in the most amazing way. Keep these words as your reference when ever you step ahead. Now begin with the pin process. What Should Be Included On The Pinterest Board? Designers from reputed graphic design companies suggest that if you want to find the inspiration then search for images that comes into your mind when you think about your brand. Begin with a broad search and then narrow it down based what you want. For example, if you are planning to open a kids apparel shop. When it comes to kids, the first thing which obviously comes is cuteness. Definitely you would love to incorporate cute illustrations in your logo. 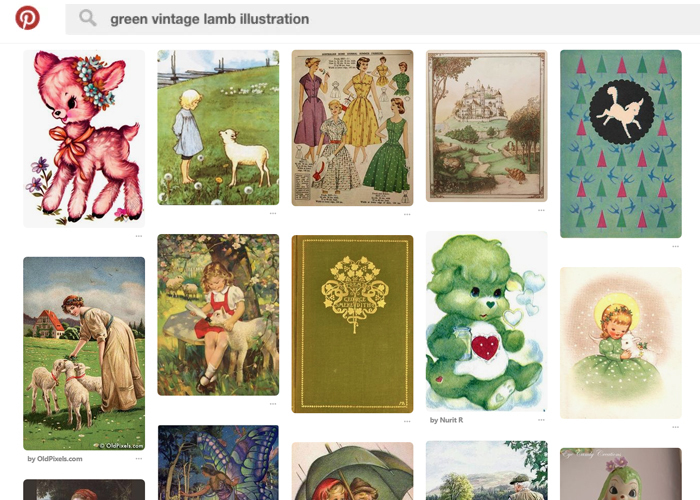 You can begin with lamb illustrations search on your pinterest account and then narrow the description further. If you sell vintage cloth then you can use this search term otherwise if you prefer to sell modern clothing you can use it either way. You can select any of the lamb picture that suits your purpose and your idea for your logo design. Click on save button and you can find red pin on the right corner of the pic. The tricks is to begin with broad search and then slowly narrow it down. The next important thing is to find the suitable colour palette, in case you don’t have anything in your mind. Pinterest is an ocean of inspiration. 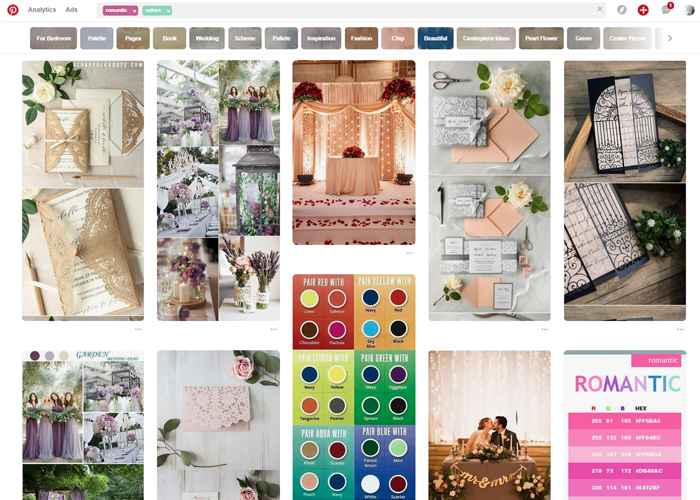 You can go ahead with choosing popular pantone colour, interior design colour or nursery theme colour to get the exact colour palette that you would love. 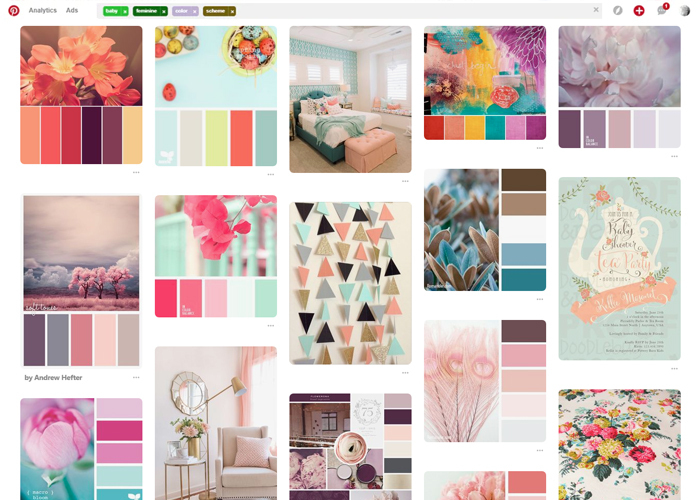 You can begin with simple search in search bar for finding some colour inspiration. Let us hold the example that you want to open a cafe and therefore, you need a colour palette linked with coffee. The colour of your logo should be complimentary with your brands offering. Designers from business card design services insist that the colour chosen for the logo holds massive importance for the logo to get well adjusted with the brand and also for the company. If the logo does not get sync with the idea, the impression created by the logo will not be very effective. You can prefer going back to your list of adjectives and then use the word to get colour inspiration. Pin your favourite colour palette that goes well with the idea of your logo. 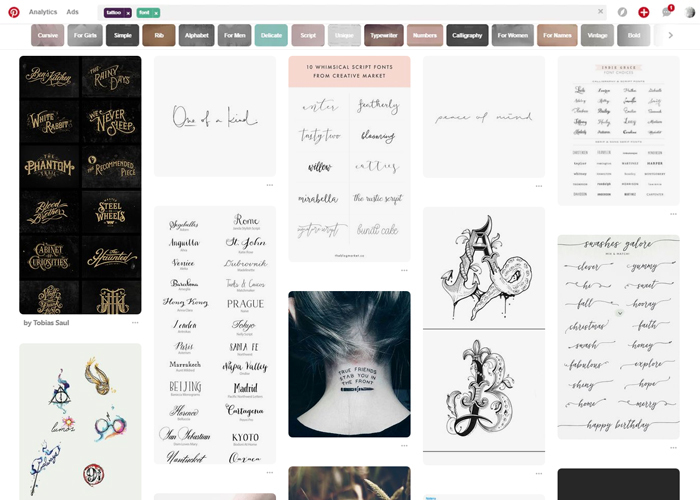 A similar kind of search can be done on pinterest for font. You can search for top trending fonts, vintage fonts, bold fonts, creative fonts and lots more that can get linked with your idea of logo design. What if nothing is in your mind? : Go by mood! It may happen that nothing is in your mind. It is absolutely blank and you need to fill it with things which is worthy. So it’s okay if you don’t have an idea! Simply go by the mood of your brand and see what comes up. For example, if it is a cafe business, the brand may have an upscale hipster feeling. If it is for a kids brand, it would have a snuggly vibe. This is the time when your selected adjectives has a huge significance. 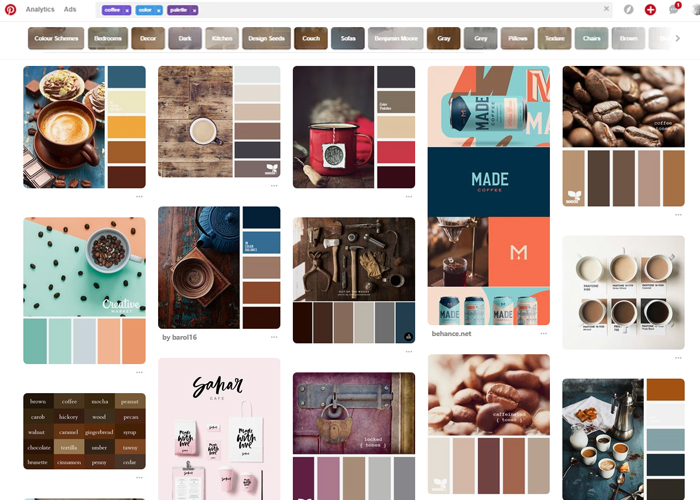 You can use them in searches to see what kind of images and idea appears on pinterest to fill your mind with some relevant ideas for your logo design. Another way of finding things by mood is using books or movies that you have seen or read that absolutely represent the vibes which you want to come across with your own brand. For example, if you have a vintage jewellery business then you can choose from the era it is inspired like vintage indian jewellery or egyptian, bohemian etc. Go ahead in pinning the idea that syncs with the idea of your brand and make it worthy. By this time you have an idea and a bunch of images pinned from your pinterest board but it can be the whole story for a designer to understand your vision. 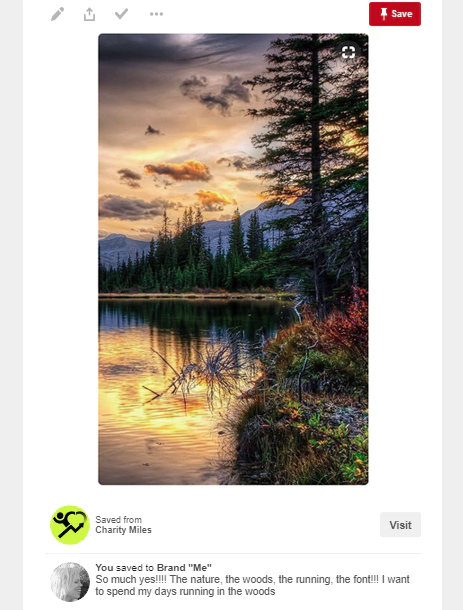 Apart from the images there are other ways you can clearly convey your idea for your logo on your pinterest board. You can consider using the description box to mention your idea behind choosing the particular image idea for your logo. Any context or references that you provide your designer is helpful in making them connect with the idea such as your favourite colour palette or the illustrative eyes of the lamb used in the pic. You can also use description box to mention what is non negotiable. This kind of information is really important and must be communicated in meetings with the designers. You can try to put into words in the image you love. Once you have compiled your style from pinterest board,send it your designer and arrange a meeting. You must be thinking why talk? Even though everything is given, still it is highly important to have an actual conversation about your idea and inspiration. All of these informations should also be mentioned in your logo design brief. Go in detail to explain your vision. Even if you have doubt about exactly how you want your logo look like, you can still give your designer some really relevant information. The second important thing is finding the right designer for your logo. Doing one conversation with the designer can let you know about the capability of the designer. If the designer is competent then it is fine or else move for some other competent designer. Your aim is to provide your idea about your logo however, your inspiration should not overwhelm them. Including a lot of elements in the design will not bring great result, therefore, select the one that suits the best for your brand. Give your designer the basic idea and then let them explore the creative side of the design to come up with a unique logo design. The more precise you will be, the better would be the design. Therefore, keep your pinterest board as straightforward as possible. Now that you have gone in depth of your logo design, let the process seems for sometime. The ideas may constantly strike your mind, therefore, keep a pen handy so you can jot down all your ideas or if you have found new idea online, add them to your pinterest board and make sure to caption them. 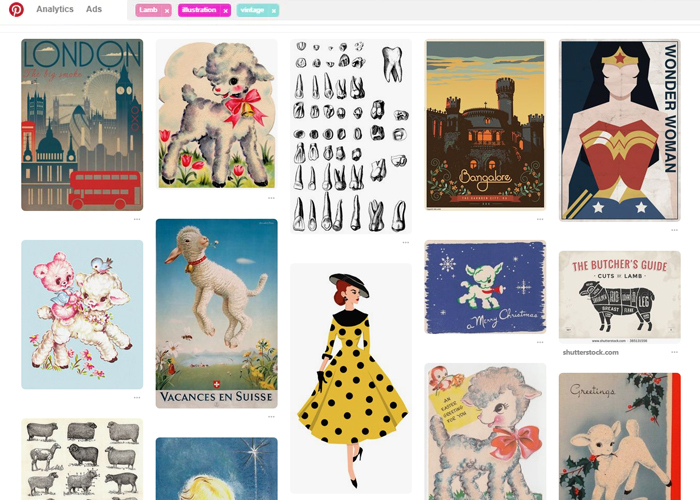 Pinterest is the medium that helps in transforming the idea into a visual treat. Taking ample amount of time to create a logo inspiration board will make it easier to achieve an appropriate logo design that you always dreamt for! So what are you waiting? Start pinning!